Google brought us refreshed lineup of its hardware at the Pixel event, today. 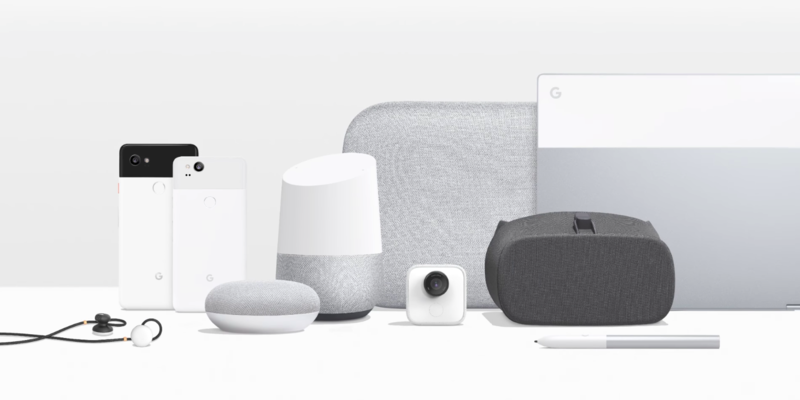 We witnessed the new Pixel 2 and Pixel 2 XL, Google Home Mini, Google Home Max, Google Clips, and Google Daydream View 2. Alongside, there were other announcements concerning software like Google Lens, Google Translation, ARCore, and more. Without further ado, let us brief you on each product unveiled at the event today. The Pixel 2 and Pixel 2 XL are Google’s latest flagships, taking over last year’s Pixel lineup. The two models are almost similar when it comes to the processor and RAM, i.e. Snapdragon 835 processor and 4GB of RAM. Google Pixel 2 features a 5-inch 1080p OLED display whereas the Pixel 2 XL comes with a 6-inch QHD OLED display. The XL has the edge over the Pixel 2 as it offers 18:9 display ratio bringing it in the category of other recently launched flagship like Samsung’s Galaxy Note 8. As the rumours indicated, both Google Pixel 2 and Pixel 2 XL have no audio jack although Google has provided an adapter to make up for it. The camera app on both the devices has AR abilities and Google Lens support that will let you fetch information by just pointing the camera at the objects like flyers, barcodes, and more. Google Assistant is still the core part of the Pixel, helping you with the smart functionality of the device. The phone has enhanced Daydream support, which ensures that your VR experience is nothing less than perfect. 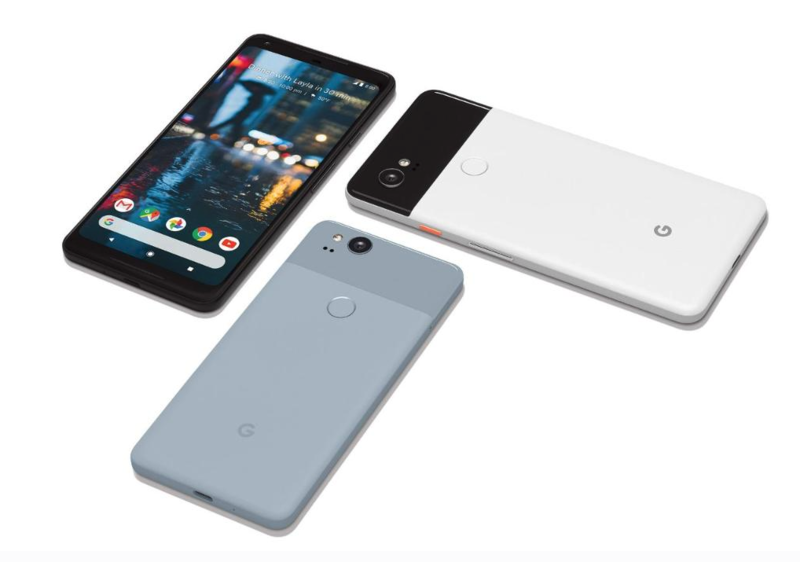 In the imaging department, both Google Pixel 2 and Pixel 2 XL sport 12.2-megapixel rear cameras with features like autofocus with laser and dual-pixel phase detection, electronic and optical image stabilization. In the front, both the phones feature a fixed-focus 8-megapixel camera. There is USB Type-C support on both the phones, but without the support for wireless charging. The camera app also has new augmented reality features like AR stickers that make it all the more fun. You can read about the new AR features here. Both the phones are already up for pre-ordering today; they will go on sale on October 19. Google Pixel 2 will retail at $649 for the 64GB storage variant and $749 for the 128GB version. On the other hand, Google Pixel 2 XL will set you back by $849 for the 64GB version and $949 for the 128GB version. 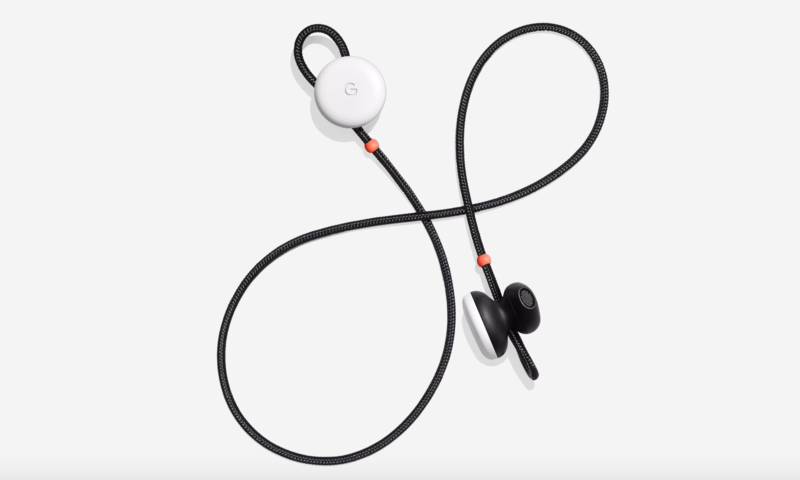 Regarding accessories, Google has announced wireless headphones called Pixel Buds for the new Pixel 2 lineup. These wireless headphones are Google’s answer to Apple AirPods. Compatible with USB Type-C for charging, the Pixel Buds are claimed by the company to deliver up to 5 hours of listening time on single charge. Interestingly, users can also activate Google Translate on Pixel Buds to take advantage of real-time translations. Google also announced two new products in its Home lineup – the Home Mini and Home Max. 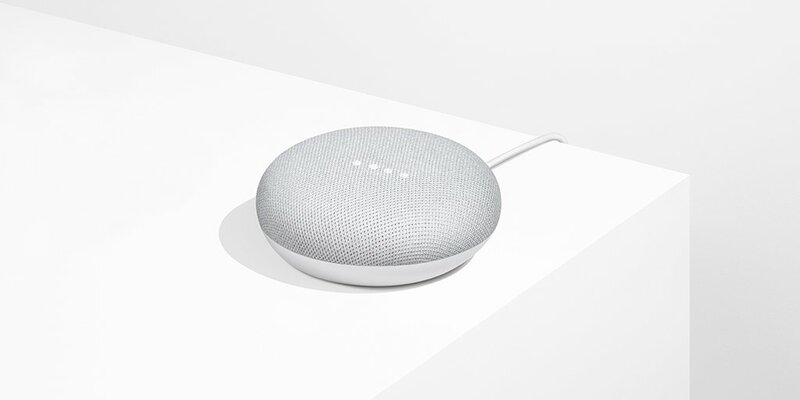 The Google Home Mini is Google’s answer to Amazon’s Echo Dot, priced at $49. It is tiny speaker covered in fabric, spread in four-inch diameter. The Home Mini will be available in three colours – Chalk, Charcoal, and Coral. On the contrary, the Google Home Max is a bigger sibling of Google Home. 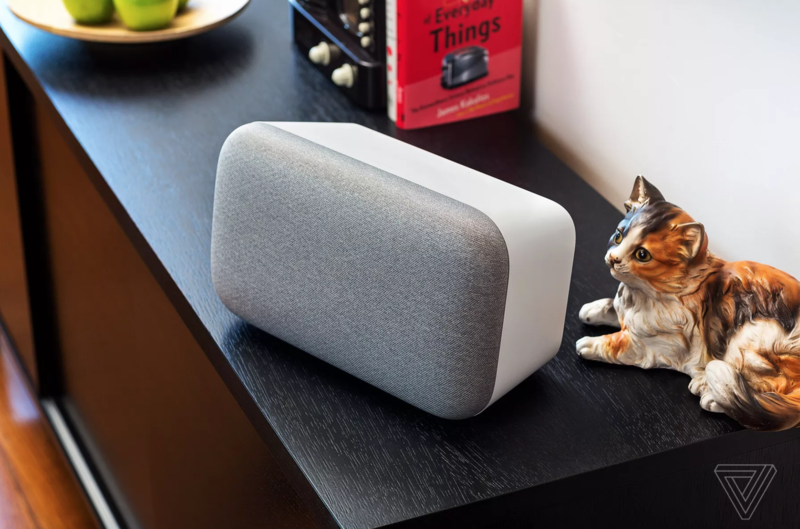 It comes packed with dual 4.5-inch woofers that are touted to offer 20 times more powerful audio output than the original Google Home. It will be up for sale in December in Black and White colour options, priced at $399. As the introductory offer, Google is offering a free one-year subscription of YouTube Red with every Home Max purchase. Google has also added new actions to Google Home, now users can say, “Good night, Google,” and the device will dim the lights. Besides, it will also set your alarm click, brief you for next day’s appointments, and power your security system. Google has come up with a small camera integrated with AI to capture priceless moments that you can’t get on your own. You just need to plant this camera in your living room to capture everything as it happens. Google has named sweet little thing as “Google Clips.” The device is made to record videos of faces and pets silently; it captures everything that it thinks is interesting. At the event today, Google gave a small demo of the product, and in the video, Google Clips was shown recording parents with their kids. 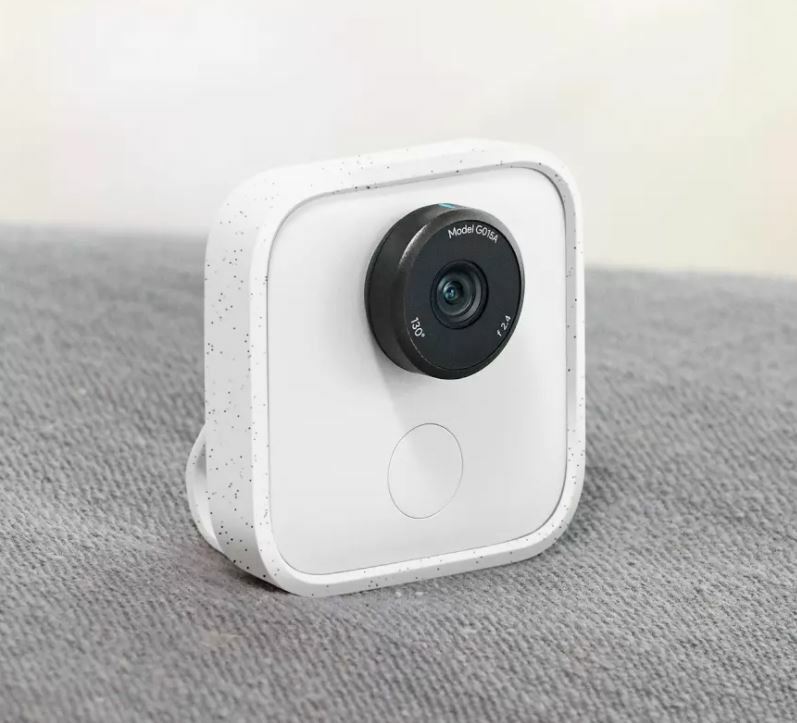 With this device in place, parents can now spend time with their newborn without holding the camera; Google Clips captures every moment you spend with your kid in the form of videos and photos. When the camera is on, an LED light blinks to inform everyone that they are being clicked or recorded. That’s the way Google handled laws against wiretaps. Nifty, we say! Google Clips is available in White and Teal colour combination. It comes with a battery life of three hours on continuous usage. It has a 12-megapixel sensor and a 130-degree field-of-view lens on the Clips that captures photos at 15 fps. There is 8GB of internal memory on the device. It will be up for sale at $249. Yes, a new Pixelbook is here. The starting price of the new Pixelbook is $999. There is also a higher specced variant with twice the RAM, a seventh-generation Intel i7 processor, and a 512GB NVMe, priced at $1,649. 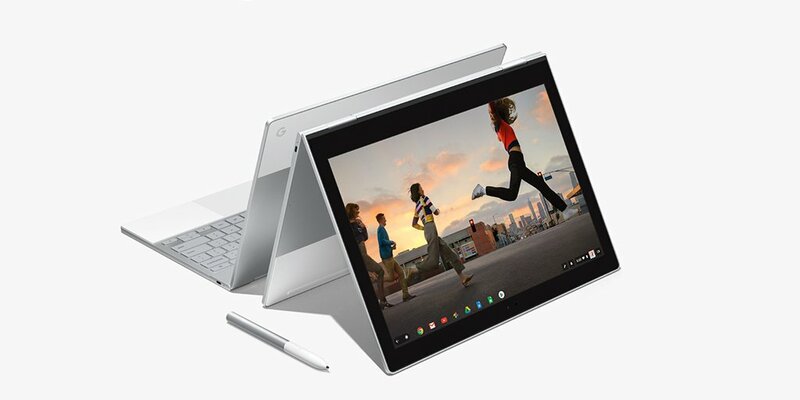 The new Pixelbook features a 12.3-inch high-resolution display, and it is the first laptop armed with Google Assistant. There are backlit soft-touch keys and battery backup of up to 10 hours on single charge. To communicate silently with Assistant, you just have to type “Assistant”, and it responds quietly. You can also buy an optional accessory with the Pixelbook, a $99 Pixelbook Pen. It is a stylus made in collaboration with the tablet maker Wacom. Pre-orders for the Pixelbook are open today and it will go on sale on October 31. Google also announced the new Daydream View VR headset, an updated version of the last year’s Daydream VR. It is compatible with the Pixel 2, Samsung Galaxy S8 and Galaxy Note 8, and LG V30. 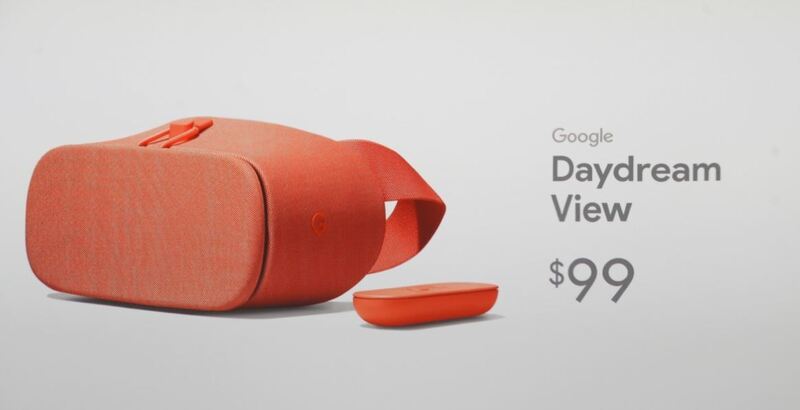 Priced at $99, the Daydream View will be up for purchase from the Google Store and also via Verizon, Best Buy, and Amazon, in November. Well, that was all for today. We will be coming up with more informative articles on Google’s new products throughout this week. Stay tuned with us!